Brackets are live, subject to change. Please be ready weighed in at least an hour before your division. Smoothcomp updates throughout the day so be prepared and keep an eye on the screens. All weigh-ins without the Gi. 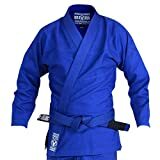 No full ripstop jackets, any colour Gi permitted. Doors and weigh-ins open 9:15am, divisions start 10:20am. Absolutes are sign up end of day (no charge). Spectators £4. Food and drink on sale in venue (cards accepted). Horizon Academy, Stoke on Trent ST66JZ.